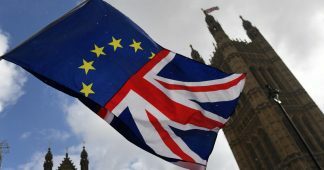 Alex Callinicos provided a thoughtful analysis of the withdrawal agreement between the EU and the UK government, its possible international repercussions and the forces behind it – before the British Parliament dumped that agreement in mid-January 2019. Callinicos observed: “Maybe fearing that a Trump administration hostile to the EU might encourage Britain to act as a deregulated offshore spoiler, France, Belgium, the Netherlands and Denmark successfully pushed for the transitional arrangements in the withdrawal treaty to include maintaining a “level playing field” between Britain and the EU-27 and allowing the Commission and the European Court of Justice to police state support for industry (a shot across Corbyn’s bows as well). This dimension of inter-imperialist competition will continue to inform negotiations on the crucial final trade agreement between Britain and the EU.” His piece on ‘Brexit Blues’ is for all these reasons still a good read. Equally, Paul Mason (supporting the ‘Remain’ camp) provided useful insights into Labour’s dilemma with Corbyn’s ‘Brexit ambiguity’ strategy: ‘Brexit or Bremain?‘ However, Guardian columnist Owen Jones argued that ‘Labour can’t be held responsible for the Brexit fiasco’. 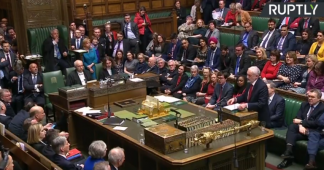 How the UK’s MPs voted on the Withdrawal Agreement, see here. 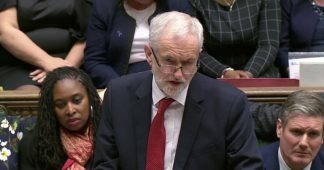 Finally, Theresa May survived two no-confidence votes (the first from her own party, the second from Labour). 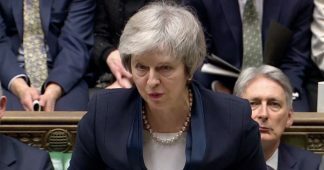 She supported an amendment by Tory MP Graham Brady calling for alternatives to the backstop which was approved by 317 to 301 by the House of Commons. Her ‘Plan B’ is to renegotiate ‘alternatives’ with the EU on preventing a hard border between the Irish Republic and Northern Ireland. Andy Storey fears that Ireland will be left in the cold by the EU on this – read his ‘Ireland: the Hard Border, the EU, and Brexit’. 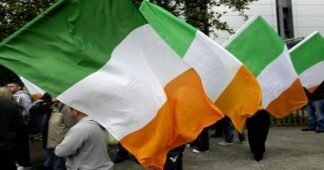 Dawn Foster however argues: ‘Thanks to the dogmatism of Northern Ireland’s Unionists, Sinn Féin gets to have it both ways: shielding its voters from a hard Irish border while boosting the chances of reunification.’ Which is also the preferred option of this author (see Lexit’s Digest No 25) … On Ireland and Northern Ireland, see also a long piece by historians Colin Kidd and Ian McBride on ‘How the Irish Question returned to destabilise the UK’ – a very interesting read. 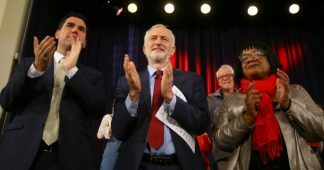 For the Labour Party, a ‘No Deal’ Brexit might boost their perspectives of winning the next UK election and implementing its programme for a social and ecological transition for the many, not the few. Labour’s talk about preventing a ‘No Deal’ Brexit as their major priority is quite empty, as their officially presented ‘alternatives’ (a comprehensive customs Union with the EU etc.) are even more far fetched and equally unrealistic as May’s ‘Plan B’. If a No Deal scenario should finally emerge, they could put the blame on Theresa May’s conservative government for the Brexit chaos that it generated. Then, in the UK it would be simply like this: the free trade, low tax ‘Anglosphere’/ Global Britain agenda promoted by the Tories and UKIP versus Corbyn’s and McDonnell’s agenda of reviving the UK’s domestic economy along social and ecological lines. Then, the UK electorate would have a strategic choice between clearly demarcated options how to revamp and reshape the UK’s society, economy and its state. The EU and British capitalists tirelessly explain that Brexit will lead to economic catastrophe for the EU and the UK, and that first signs of this already can be observed. Australian economist Bill Mitchell disagrees. Firstly, ‘rising Brexit anxiety’ is mere propaganda – the UK economy fared better than the rest of the EU up to December 2018 (the month to which there are reliable data available). Secondly, citing some study: “Export growth, we may safely conclude, has not been one of the benefits of the Single Market for the UK. Countries exporting under WTO rules, like the US, do not appear to be at any great disadvantage.” And one could add China or even Australia to that league of countries increasing exports to the EU under WTO-rules. For his sober analysis, see here. Alex Gourevitch on why the UK should leave the EU already.